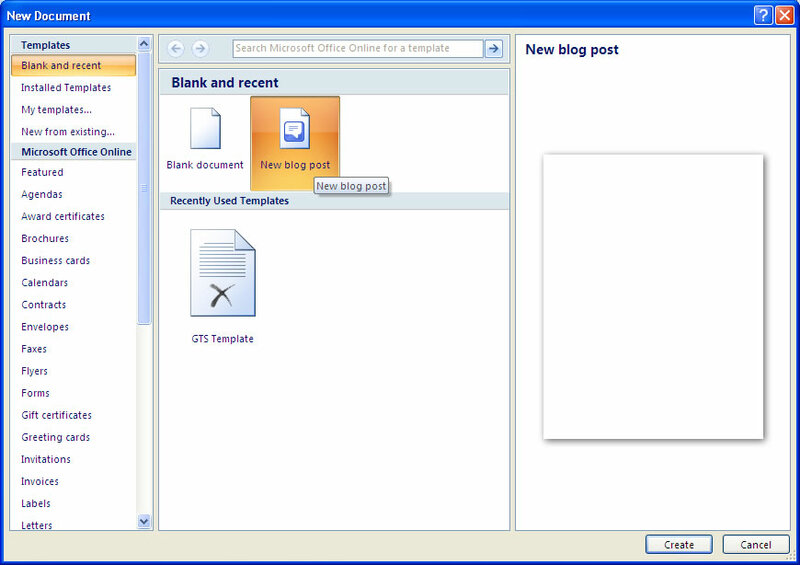 Blog editors do not have the same document authoring features that Word 2007 has, so one option open to you is writing your blog post and publishing it all from Word. To start blogging in Word 2007, you first have to create a blog account with a service provider (popular examples are Wordpress and Blogger). Once that is done you need to configure Word to use your account information when you open or publish blog posts. You can register all the blog accounts you have, and then when you blog, you can tell Word which account to use. Click the Office button, then select New > Blog Post > Register Now, and a series of dialog boxes allow you to enter information about setting up your blog. There is a list of blog service providers that Word already knows about, but you can add new ones to that list. Start blogging! When your blog post is complete click Publish and select Publish. Joe Friend blogs about blogging with Word 2007. You'll need a blog first - why not start with The Daddy?